You can win a set of our NEW NEW Locs in this massive giveaway! 1. The promoter of the contest is Boholocs.com. 2. Employees of Boholocs.com or their family members or anyone else connected in any way with the competition or helping to set up the competition shall not be permitted to enter the competition. 4. The approximate prize value is $177. 5. Contest begins on 2018-10-24 and ends on 2018-11-23. After this date there are no further entries permitted to the competition. The promoter reserves the right to change the beginning or end date. 20. This promotion is in no way sponsored, endorsed or administered by, or associated with, Facebook, Twitter or any other social network. You are providing your information to Boholocs.com and not to any other party. The information provided will be used in conjunction with the United States standard Privacy Policies. 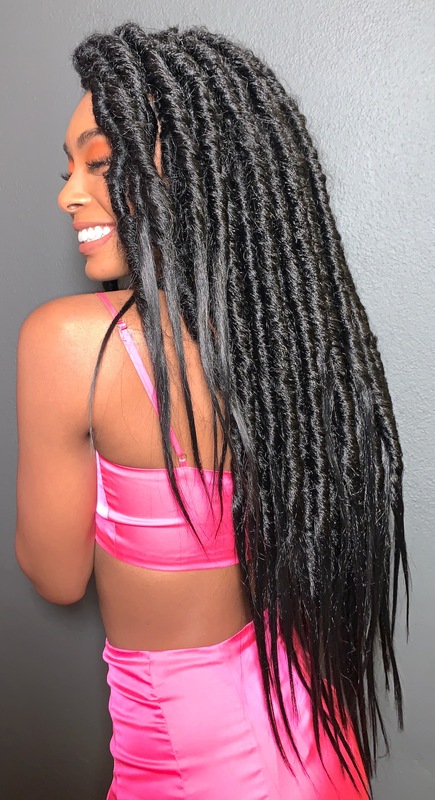 Let our NEW NEW SILK LOCS give your life, LIFE. 2 WINNERS WILL WIN A SET OF OUR DELUXE AND NATURAL AF NEW NEW SILK LOCS on Valentines Day Thursday 14th February. Worldwide shipping from the USA. Everyone who enters will get a discount code to shop our SILK LOCS when they drop on the 14th Feb. PLEASE CLICK BELOW TO ENTER AND WHEN PROMPTED GET AS MANY BONUS ENTRIES AS YOU CAN. THE 2 PEOPLE WITH THE MOST BONUS ENTRIES WILL WIN.